I red an article and they said that: "Risk homeostasis is also a possible explanation for why avalanche training seems to have little effect on incident rates. Armed with information on hazards, groups may actually choose to take more risk, believing that the mitigations (terrain selection, travel techniques, etc.) they put in place will compensate"
So to gain experience, we most go on slide path. but in courses they said to avoid avalanche terrain. furthermore, classify situation belonging to a known type is making heuristic clue...and it is not necessary good. What do we learned about risk homeostasis in courses? and what a leader can say when your partner said: yes, but they told that the avalanche danger is low!!! After the course, are we going to have "basic formal training" ? from:http://www.snowpit.com/articles/training.pdf On January 12, 1993, three skiers left the well-marked boundary of Vail Ski Area headed for the backcountry. The group had been warned of the dangerous avalanche conditions by the Vail Ski Patrol, but these skiers had just completed a two-day avalanche course and were confident that they could find safe skiing. You are 100% correct that you can not gain “experience” without going into a slide path, or avalanche terrain in general. “In courses they said to avoid avalanche terrain”. The group had been warned of the dangerous avalanche conditions by the Vail Ski Patrol, but these skiers had just completed a two-day avalanche course and were confident that they could find safe skiing. It is true that many people caught in avalanches have had some sort of “formal training”. That statistic is skewed since these are the same people that spend the most amount of time in avalanche terrain. However one of the key points made in a quality avalanche course is not ignoring the advice of local professionals, be they the avalanche forecast center or in this case the Vail Ski Patrol. Ignoring the warnings of local Ski Patrol because they have taken a 2 day course does not discredit the value of learning more about the hazard. Your arguement continues to be “You're safer if you don’t learn from professionals”. I can’t convince you otherwise, but I’d love for you to attend one of our courses. I think you would be surprised how little “fear mongering” exists. We encourage people to use the bulletin along with changing current conditions, and an honest assessment of their party’s capabilities and experience, to have a great day skiing and climbing in avalanche terrain despite the current rating. There is very little “don’t go” suggestion, and a lot of “lets look at all the data we can and determine as a group what is a reasonable amount of risk”. YMMV. What it really comes down to is LL and I agree on the most important thing... nothing trumps experience. However we disagree on the next thing... quality instruction can help you gain that experience a bit more sanely than “winging it”. He is convinced professionals post “high danger” because we don’t want to go out on a rescue... not because we understand the local conditions warrant that level of caution. Regardless, I am stoked to see more than a dozen folks have pre-enrolled for courses this week from this post. Word is out... aspiring east coast ice climbers/mountaineers can benefit from some snow savy-ness, and a solid course, from ANY provider, is a sound investment. Nothing trumps experience....and how to gain experiences with a deep understanding is more than a concern for a course. After a snow storm, observing the snow in the windshield of a car to see when the avalanche collapse is more than usefull. You will understand that during the snow fall, except some warm weather exception, the slab is forming and it is just after that the slide appear on the car, the next day. This is a practical experience. Did you teach, in your courses to look at an avalanche on the windshield of a car...I am sure that you will next time. Before I gave my life o someone who qualify himself as an expert, I will test him to see his knowledge. On the second article, http://www.snowpit.com/articles/training.pdf, they describe that situation where you follow stupidly a sign telling you what you have to do. It is a very dangerous heuristic advice. In the article, they talk about the mitigation method use by the good climber to diminished the danger in the field...I am not convinced that you teach that for two reason: First, I went to pinnacle in a white out and there is no snow slab during the snow fall, but it is form at the end and the danger increase as the blue bird sky appear...leaving the climber with the decision of climbing: 1- in fantastic condition and 2- an avalanche post with lower risk of avalanche than the day before. As they don't see any avalanche path around (avalanche is going to be higher after the snowstorm as show in a windshield) There decision will be to climb. So experience climber will say that you are stupid to said that avalanche danger is higher during the snowstorm than after (other risk than avalanche can exist in a snowstorm); Second, by your answer. if you had read the article that I cite, you will have see that your answer is a very dangerous heuristic advice. A climber leave there life in the hand of professional who is not there with you in the field at the good place at the good moment. Avalanche danger is always high and you always to care about any danger. It is why it is so pain full to be a good leader. Your decision are slow because you have to deal with discipline and incomplete information and you are always critics when you stop too much excitement or you push them safely in what you, as a professional, call a mistake. Actually I do. 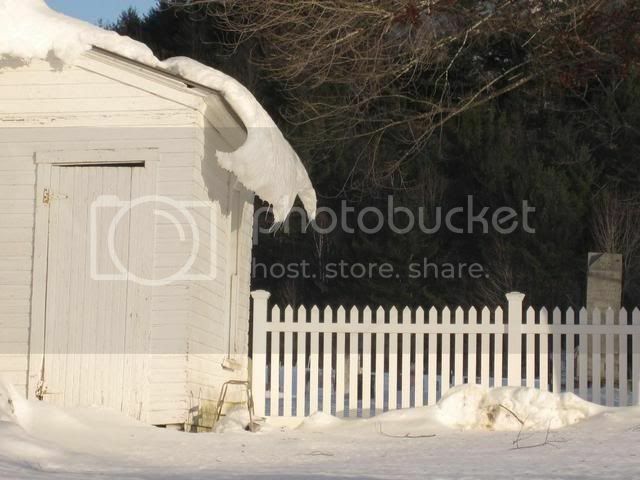 And on barn roofs. And snowbanks in your own driveway. Thanks for stopping by Champ. I agree with you about experience but, with reservations. An example would be that I was taught that getting shot with a bullet was a bad thing and there are procedures to follow to mitigate the results. Experience would be great but, in this case I think I will pass on the experience for now. I feel the same about an avalanche, would rather avoid it than learn from it. I think that Dave's class goes along way to help with prevention of getting into a high risk avalanche zone. If people do in fact take more risk because they had the course they probably have the kind of personality that would have them eventually take more avalanche risks as their experience builds up over time. There just aren't many classes that can teach common sense to these people. Spatial variability - learn it, live it, love it. Or complain about professionals and their 'rules'. Great photos of “creep” and glide crack style avalanches Perswig! 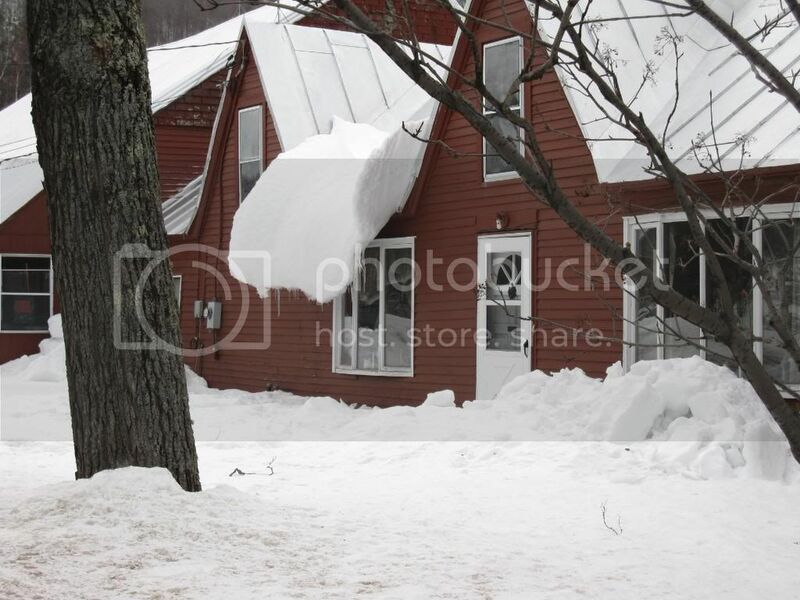 The 2nd one reminds me of my grandparents house in Thorton... we used to sled off the roof. Actually I do. And on barn roofs. And snowbanks in your own driveway. Dörner (1996) has demonstrated that people tend to protect their perception of their own competence, and will actively avoid evidence to the contrary, particularly in complex situations. This results in “ballistic behavior” where people appear to ignore obvious clues that they are making a mistake. By carefully building on decision skills that students already have, educators can help recreationists reduce their risks without limiting their experience of the winter backcountry. ...By carefully building on decision skills that students already have, educators can help recreationists reduce their risks without limiting their experience of the winter backcountry. That’s true! You should consider looking into becoming an instructor. Seriously, you are passionate about the subject, and knowledgable. Other than your disdain for formal instructors, I know you might have more to offer than just internet thread rants. It is you who qualify those instructor. or at least have a painful moment of self awareness. Dorner is not me, so it is not my own advice. but I actively chalenge myself on my perception of my competence before and after a climb. Heuristic clue bring me some understanding of a safety problem that I already had describe in other term.